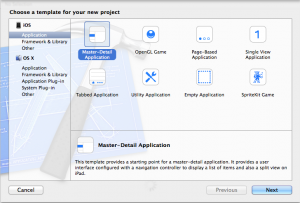 Let’s get started by going to File->New Project in Xcode and selecting the Master-Detail Application template. 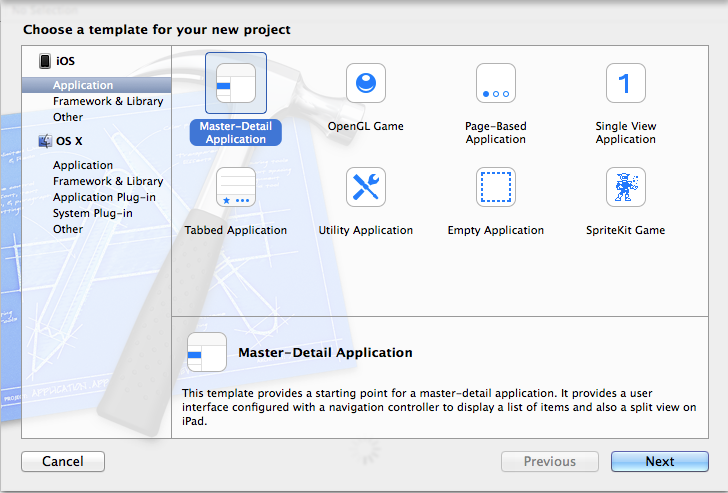 We already have a working project thanks to Xcode’s template and it is quite close to what we want. 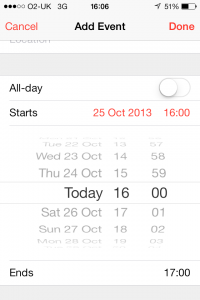 We have a table view and a detail view, all we need to do is customise them to suit our needs. We are going to make VCMasterViewController display our list of people, so let’s start by giving it a more suitable name. 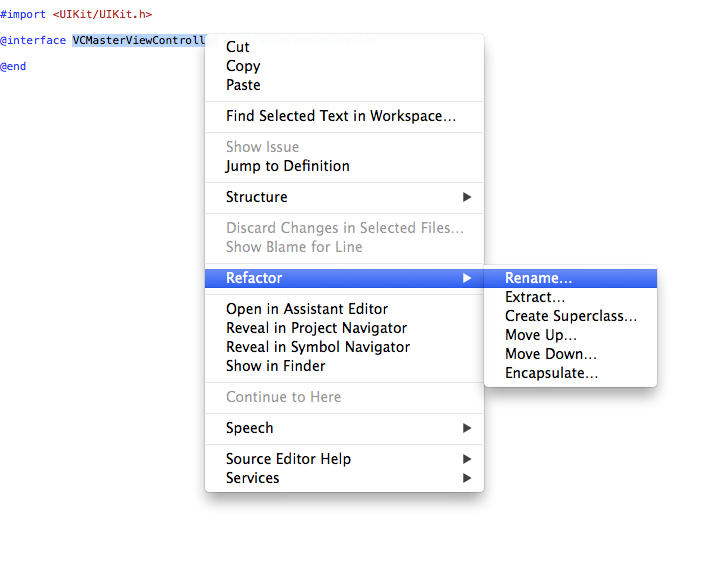 Select VCMasterViewController.h file, then in that file right click on the name of the view controller and choose Refactor->Rename… The new name will be VCPeopleViewController. 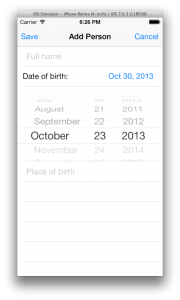 This entry was posted in iOS 7, Step by Step Tutorials by Vasilica Costescu. Bookmark the permalink. 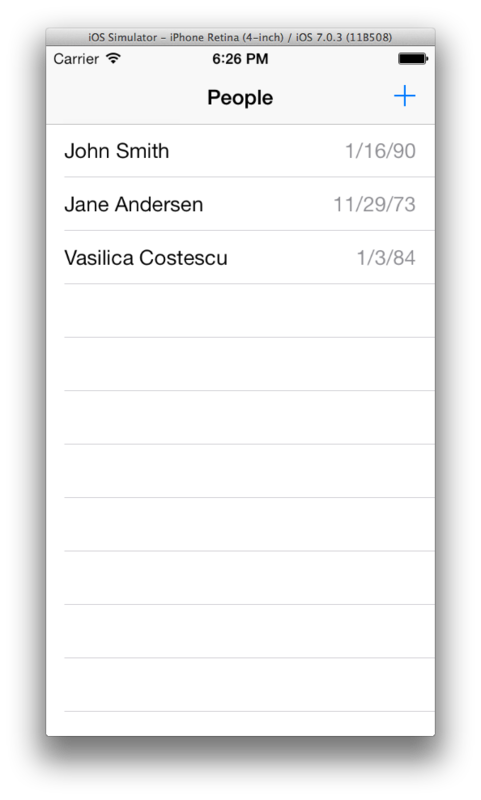 How do you dismiss the date picker once you’re done with it? 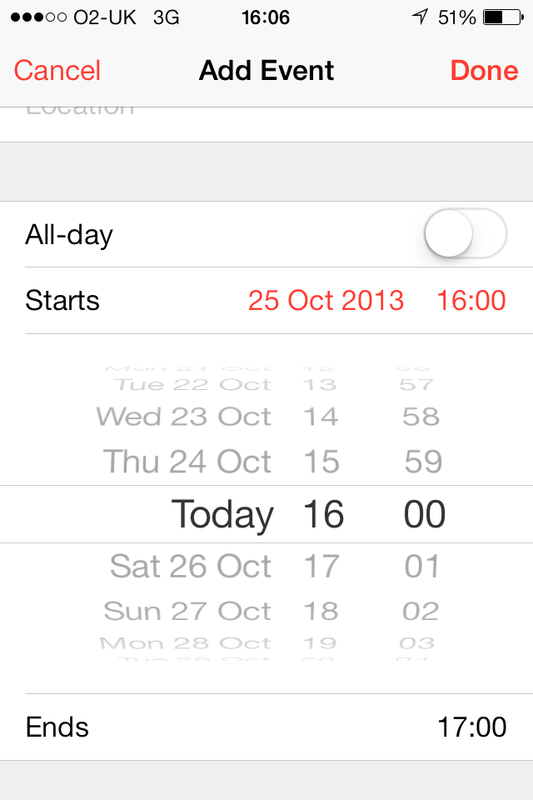 To hide the date picker in the UI you just need to tap on the same cell that triggered the date picker to be shown. 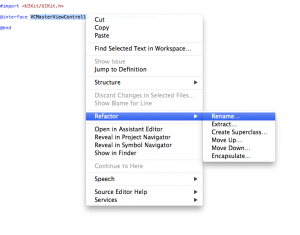 The method hideExistingPicker is the one that contains the code. All it does is to delete the row containing the date picker. Really nice. When I had done this in the past I used delegates between the tableview and cell which was a mess and violated all kinds of rules i’m sure. This is a much cleaner and easier approach, well done. Thanks for sharing! 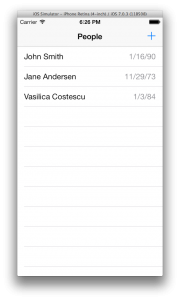 Nice article, I managed to translate it to C# for use with Xamarin – I used a UITableView with a UITableViewSource set as source, implementing your example in the UITableViewSource. Do you have a working example of this using Xamarin anywhere where I can read a completed solution? 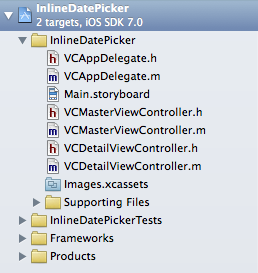 Do you have the same example bout implement UITableView and not implement of UITableViewController? Thanks, This is very helpful and actually fun to work thru your lead. Now I will tackle your part 2. 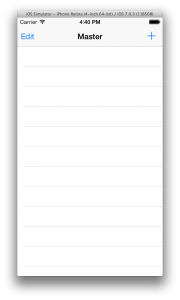 Do you happen to know how to do this with a UIPickerView so that one can have a picker with minutes and seconds? 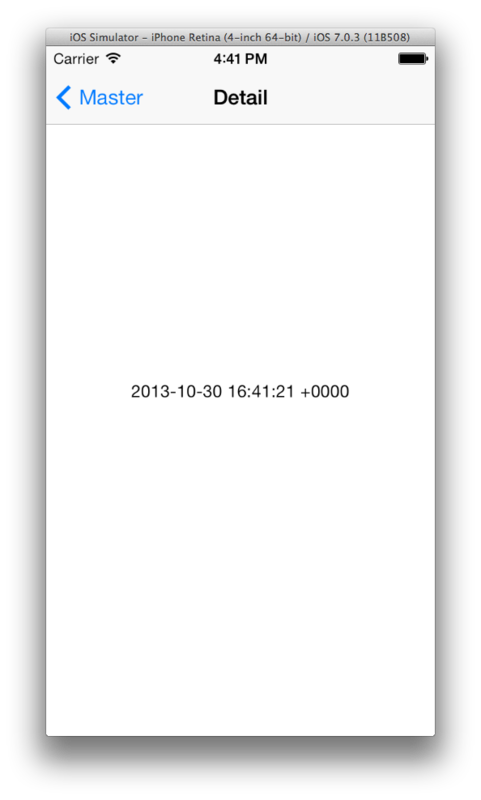 You should use a UIDatePicker for this and set the mode to UIDatePickerModeTime.